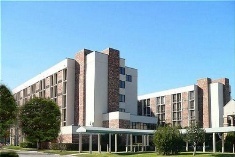 Holiday Inn Jacksonville Airport Hotel Jacksonville, Hotel null. Limited Time Offer! 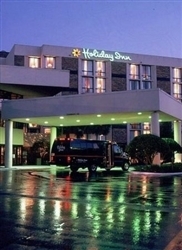 The Holiday InnRead more Jacksonville Airport Hotel has all the services one would expect of a three star hotel in Jacksonville: Restaurant, Room Service, Bar, Tennis Court, Non Smoking Rooms, Business Center, Laundry services. This establishment is more of a Family hotel .This hotel offers a unique service : conference facilities.This hotel is part of the Holiday Inn Hotels & Resorts chain.High speed internet is available in this hotel.Relax yourself in the hotel's indoor pool.The Jacksonville airport is about 37 minutes by car from the hotel (11 miles ).Practical information:This hotel has a parking.